Warby Parker launched an interactive microsite to promote the partnership. Clark Kent’s signature glasses are an important part of his personal brand when he’s not out saving the world as Superman. 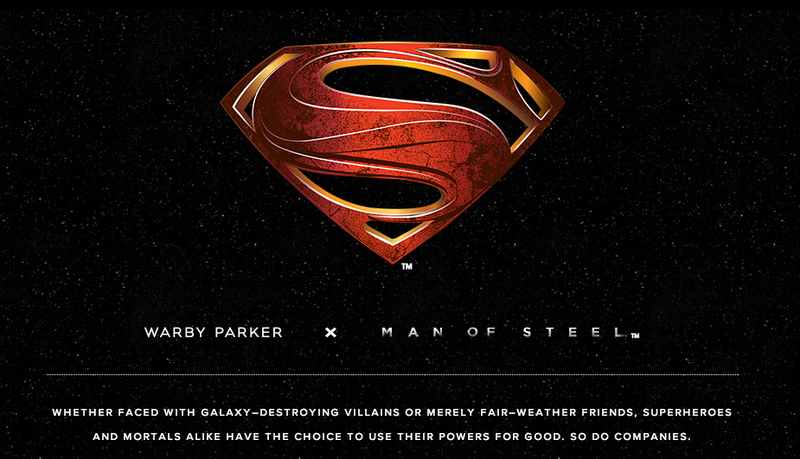 So it was probably a no-brainer for Warby Parker to sign him up for his very first endorsement deal in time for the June release of the Man of Steel movie. The limited edition capsule collection features two new frames each for both men and women. And now that the movie has broken the box office record for the biggest June opening weekend with over $100 million dollars in ticket sales, I’m sure Warby Parker will keep these items on sale for longer than they intended to.